I really love getting letters in the mail. Once upon a time I was really great about sending letters in the mail. Now…I just cannot manage to get it done. But I loooove stationary and my once very full stash has dwindled to nearly nothing. 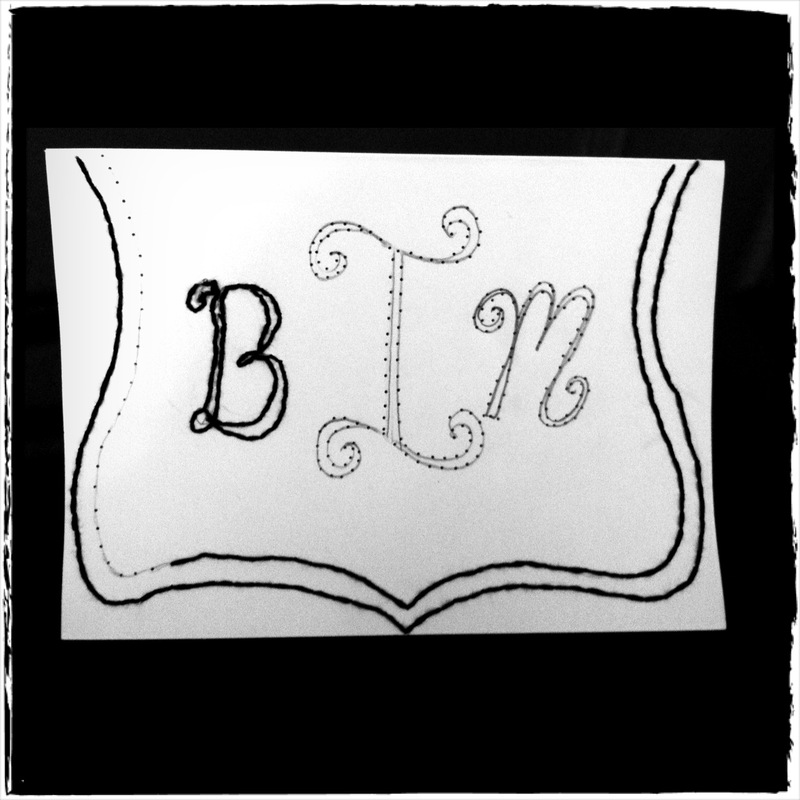 I fell so in love with wrapped wire letters that I brought it over to stationary. 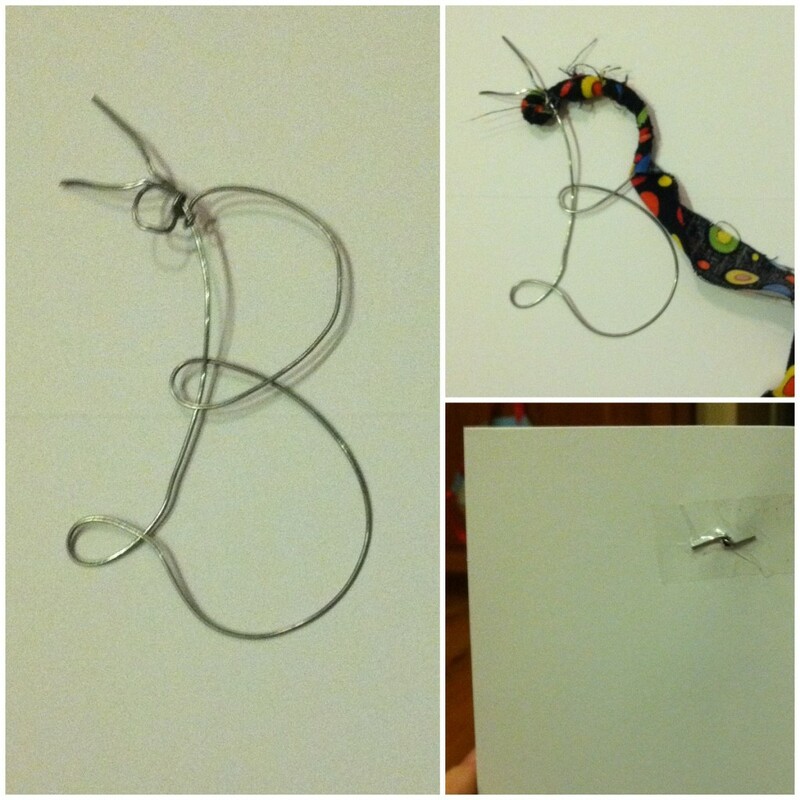 First I used a smaller gauge wire and made my letter, leaving a little bit of the wire sticking out. 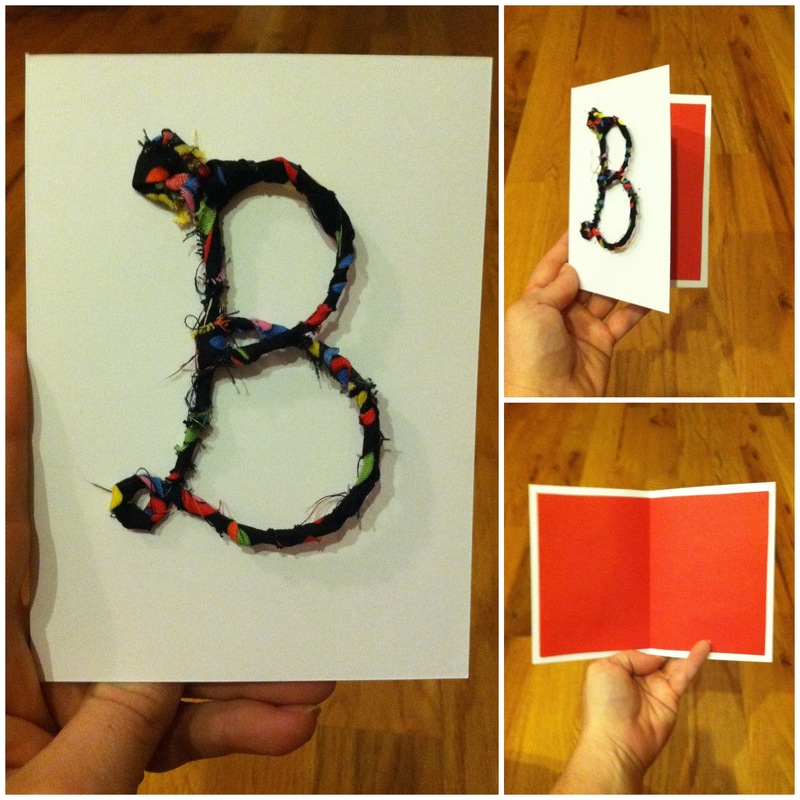 After wrapping the letter, I punched a tiny hole in the card and inserted the uncovered wire. Folding it down, I secured it with tape. 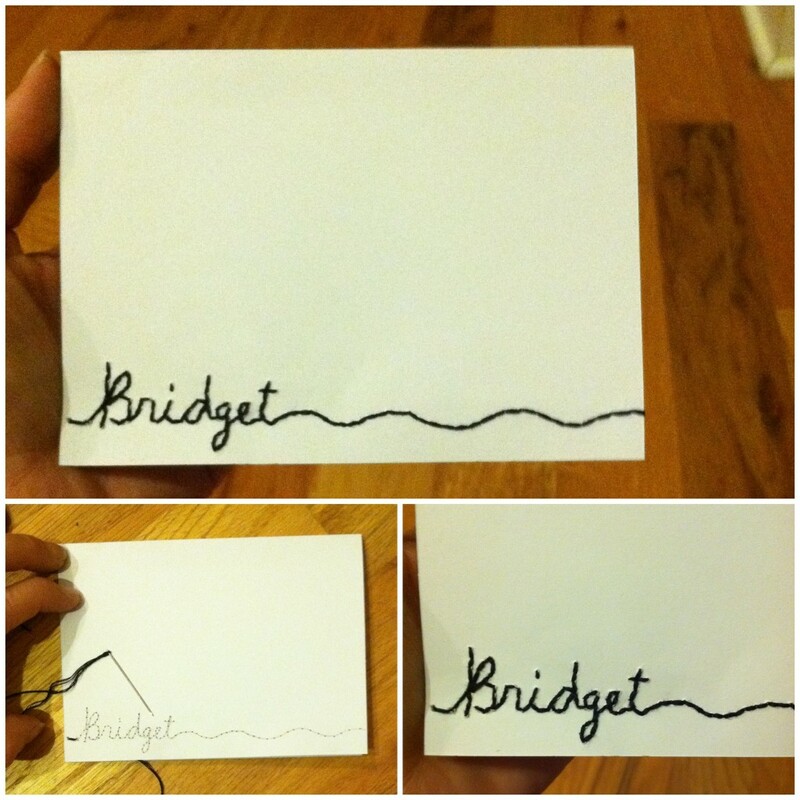 Since I didn’t want the card recipient to see the taped wire, I used red cardstock to make a liner. And I recently also fell in love with hand embroidered paper. It’s super easy. but you could easily print out a design from your computer. I took a sharp tipped needle and pre-made the holes. Then I simply sewed up the line with embroidery thread. And I because my kids like to craft as much as I do, I decided to do one that was kid-friendly. 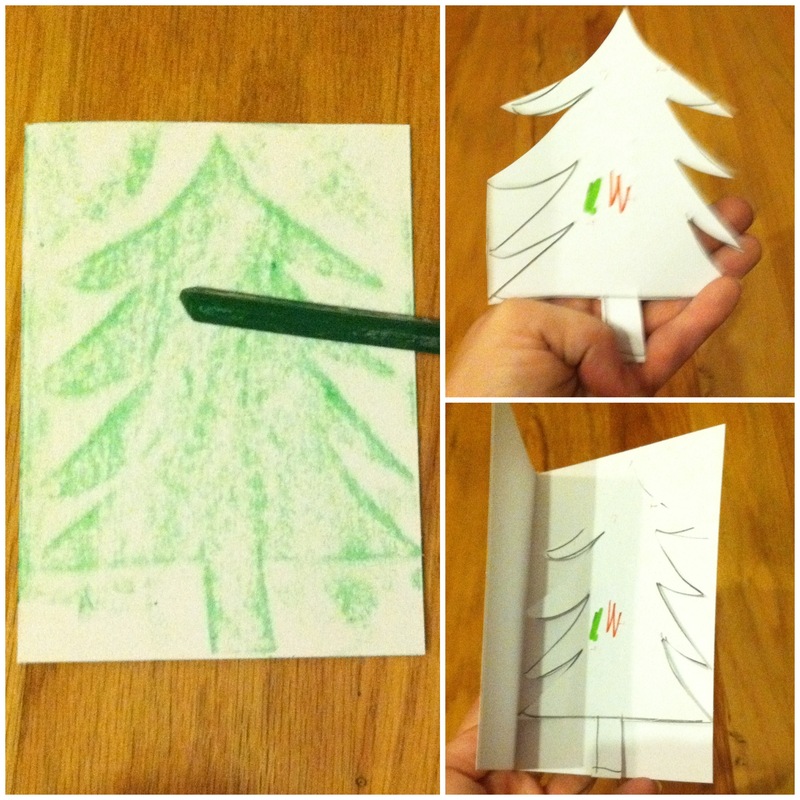 And so I decided to cut out a Christmas shape and do a rubbing of it. Suuuuuper easy once you cut out your shape. Don’t feel confident that you can draw the shape you want? Google “Christmas tree coloring sheet” and you’ll get tons of line-drawn options that are perfect for this! Print it out from your computer, cut around the edges and color away!